I bet someone you know has or had breast cancer. 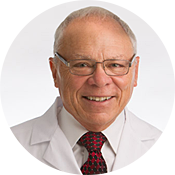 Over the past 50 years, treatment for breast cancer has greatly improved, thanks to the dedication and commitment of physicians like Dr. Robert A. Gardner. He is an amazing and caring physician who specializes in the treatment of breast cancer for women (and men). I recently had the pleasure of meeting Dr. Gardner and his wonderful staff. Immediately, they make you feel like family. His practice is located just a short drive away in West Palm Beach and once you meet him and his staff, you’ll feel right at home. Breast cancer death can be prevented if you catch it early enough. Get screened. Do your annual mammograms. Be pro-active. Eat healthy. Stress-less. As of July 2014, Dr. Gardner is now offering electron intraoperative radiation therapy (abbreviated e-IORT) for breast cancer treatment. This is a major breakthrough in breast cancer treatment because in patient’s who qualify for the treatment by virtue of tumor size, age and so on, treatment by surgery and radiation therapy may be completed in a day. 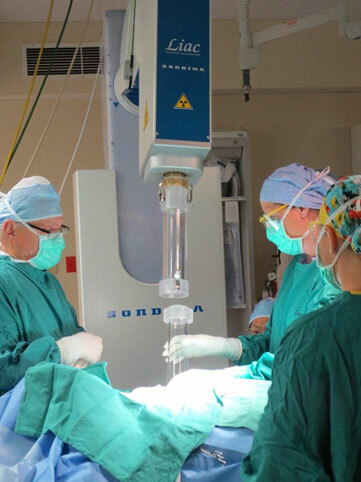 With today’s new treatment, while a patient is already in the hospital to have a cancer removed the patient can also receive about a two minute dose of high-energy electron intraoperative radiation therapy to the breast tissue near where the breast cancer used to exist. The breast is reformed with onco plastic surgery and then the non-irradiated skin is closed and the patient can go home. In many breast cancer cases, surgery and radiation therapy are done in a day under anesthesia. Please note that we use stainless steel protectors behind the breast as we radiate through the surrounding breast tissue to protect the heart, lung and ribs, so these do not get any radiation. This stainless steel disc stops the radiation completely from penetrating the other organs. Typically, a sentinel lymph node is sampled at the same time under the same anesthesia. The total operation takes about two hours to do and that includes the set up and delivery of the radiation therapy at surgery. The dose given is 21 Gray of radiation. 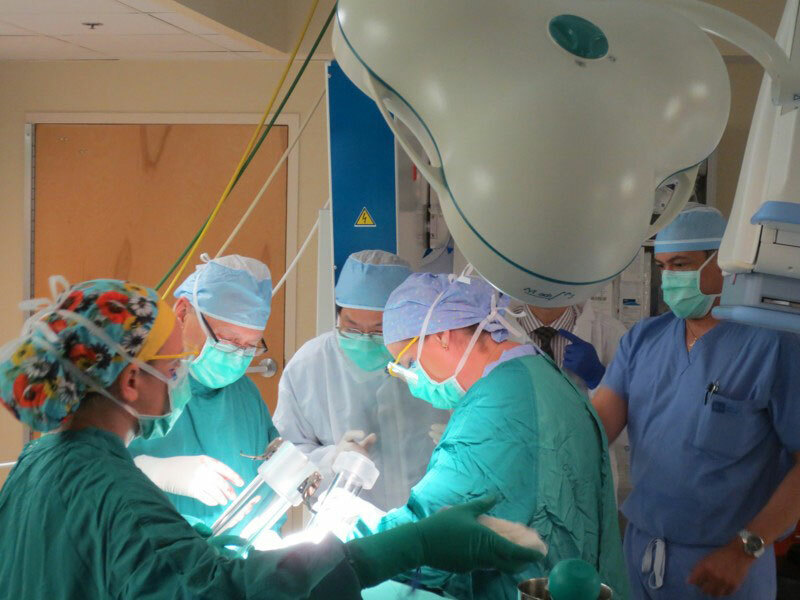 Some patients will be candidates for what is called a boost in the operating room. This is a dose of 10 Gray (e-IORT) to the area surrounding where the cancer used to be for the purpose of reducing recurrences. This has been shown to be extremely effective in reducing local recurrence. In such cases, a short course of abbreviated whole breast radiation therapy is typically offered as well and can be done near where the patient lives. One of the benefits of this treatment is that it allows a woman to come into the hospital and be treated in a single day. In many cases her treatment is complete as far as surgery and radiation therapy goes. When we get the final pathology report back, we can discuss if she’ll benefit from hormonal therapy, and in certain very select cases, chemotherapy, which is required less and less as we get into very early detection and diagnosis. The mainstay of early detection and diagnosis is mammography, which in my opinion, should be offered to every woman age 40 through 80 on an annual basis. A common question is what are the side effects of electron intraoperative radiation therapy? The common side effect is a 4% incidence of what is called liponecrosis. This is an area of the breast usually small in nature where fatty tissue dies and a thick fluid, about the size of a small marble collects. We resolve this by withdrawal of that fluid with an aspiration under ultrasound guidance and local anesthesia. Are there side effects to the skin with this technique where single-dose intraoperative radiation therapy was given for breast cancer treatment? The skin is actually not radiated so there are no short-term or known long-term problems associated with the skin itself. Other benefits of doing IOERT, are that it presents kinder, faster, gentler treatment which restores a woman’s health quickly so that she can resume her normal life. Typically, a matter of a few days after surgery. How many places are currently doing this in the United States? There are about 14 centers doing this in the United States. Are there any other forms of intraoperative radiation therapy, and if so, why don’t you use those? There are two other systems using low-energy radiation therapy that produce photons that may not be as effective as electrons in achieving the desired treatment results with the fewest number of problems and complications. Those systems cost about half of what the LIAC – intraoperative radiation device costs. I have elected not to offer those systems to our patients because after about 10 years of study and asking questions all over the world, it is my conclusion, as a very experienced breast surgeon working with a radiation therapist, that the results are better with electron intraoperative radiation therapy. There are less complications and less time under anesthesia as well. Is this treatment being offered in other places in the world? There are at least 80 other treatment centers in the world offering these electron intraoperative radiation therapy treatments now ranging from Belgium to Japan. About 30,000 patients a year who need treatment for breast cancer are being offered this treatment in UK. How many cases have been treated in the United States compared to treatment in other parts of the world? IOERT has been used to treat between 20,000 and 25,000 patient’s across Europe, the Middle East and Far East. It has been used to treat approximately 250-300 patients in the United States in recent years. Why is the U.S. so slow to adopt this technology if it’s been demonstrated to be effective in all of those other countries? Traditional treatment for breast cancer in the United States has been to remove the breast tumor and then to treat the patient with 6-7 weeks of radiation therapy to the entire breast. As the surgeon cannot do SurRad (surgery and radiation therapy same day) alone it has required the active engagement and participation of radiation therapist who had studied this technique elsewhere and wished to bring it to the community. I can speak from personal experience that it has been difficult to bring this program to Florida. I have been turned down by 5 hospitals when presenting this to them because of radiation therapist and hospital administrators declining the program. We now have two active hospital based c-IOERT programs in Palm Beach County. Has this technique been verified in Europe? The technique has been extensively studied, verified and validated. The results were published in journals in Europe as recently as December of 2013 with ongoing analysis leading to the conclusion by the United Kingdom to add this system to their list of treatments for breast cancer. To date there have not been any significant recent advanced publications because there are so few cases and they are so widely scattered even though we are collecting the data to publish. It will be sometime before we can collect enough cases in the United States to analyze our results and make sure that they compared favorably to what is going on in Europe, which is our expectation. How did you learn of this technique? I have been to Milan, Italy to the European Institute of Oncology which is the leading breast cancer treatment center in the world. I first heard about this technique 10 years ago when Dr. Veronessi was treating women who got a single-dose radiation therapy in the operating room and no postoperative radiation therapy. I ended up going into the operating room there. What is the cost of that additional team in the operating room and equipment necessary to deliver the treatment? The machine costs about $1.2 million. 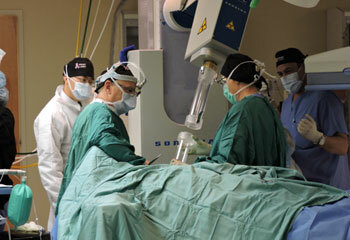 For training, we sent two breast surgeons, a radiation therapist and a physicist from our hospital to Milan, Italy. We went into the operating room and were trained there as well as through many presentations and lectures. The cost varies at each facility as determined by the radiation oncologist working jointly with his or her administrator to bring the service to the patient. Typically, some or all of the cost is covered by insurance by negotiation in advance of the treatment. The cost is typically far less than the alternative of 6 weeks of radiation therapy post surgery. Why have you spent 10 years bringing this program to Florida? Because it is the right thing to do in service of the women of our state and someone had to do it.